With warm days approaching, I’ve been searching for a cute swimsuit cover up to wear (because once our community pool opens, I have a feeling we are going to be there everyday this summer). 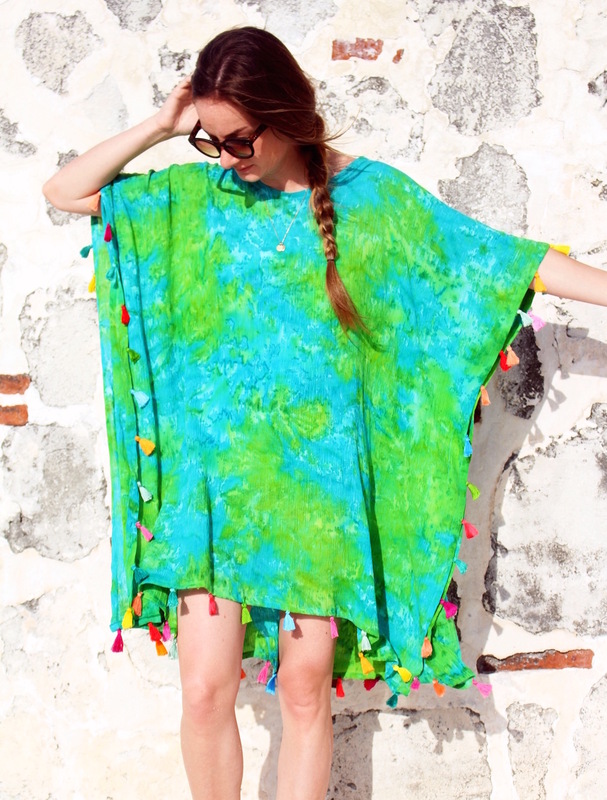 I love to browse Anthropolgie.com for ideas, and I fell in love with a few of their caftan style cover-ups. So, I decided to make my own, tassels and all, and I’m really happy with how it turned out. It’s super easy! The tassels took me a few hours. I turned on a movie and had them all done by the end. If you’re like me, a few hours watching your favorite movie (or binge watching Netflix) and working with your hands is very therapeutic. So it didn’t feel too tedious tying all those tassels! 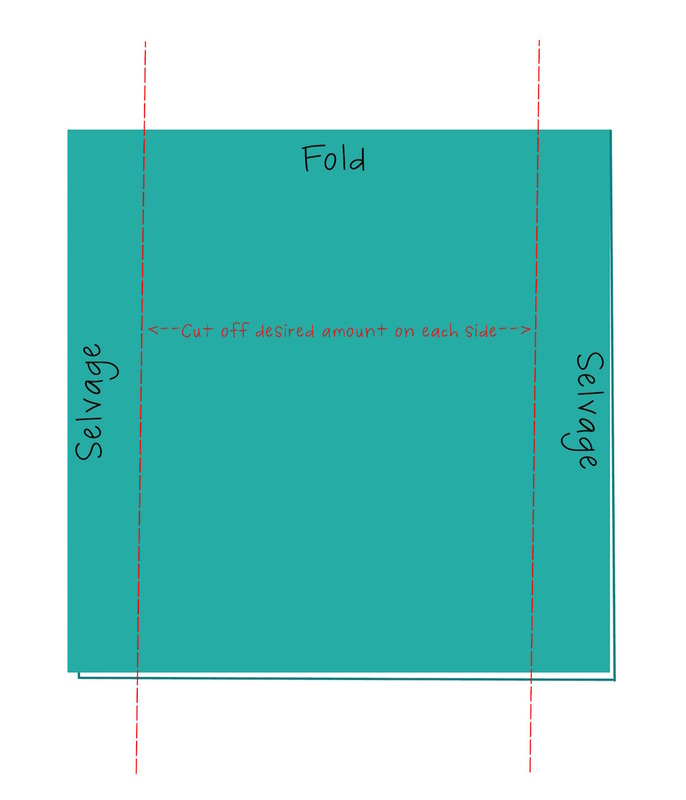 Step 1: Fold your piece of fabric in half long ways, with the fold along the top edge. 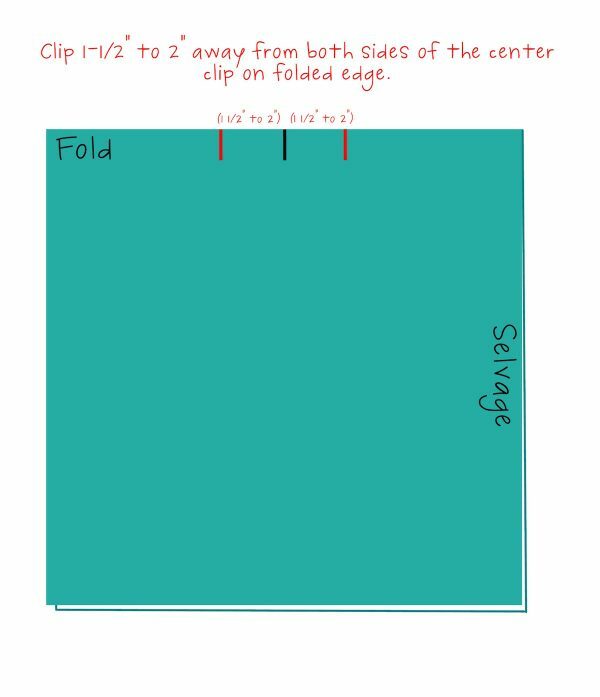 Step 2: Hold the folded edge up to your shoulders, and decide how wide you would like your caftan to be. I ended up cutting 3 ½” off of each side. As you can see in my photograph above, my sleeve ends a little past my elbow. Step 3: Create your neckline. Cut a little slit (1/4″) in the center of the top folded edge to mark the center of your neckline. Next cut another ¼” long slit about 1 ½- 2″ away on each side of the center slit. 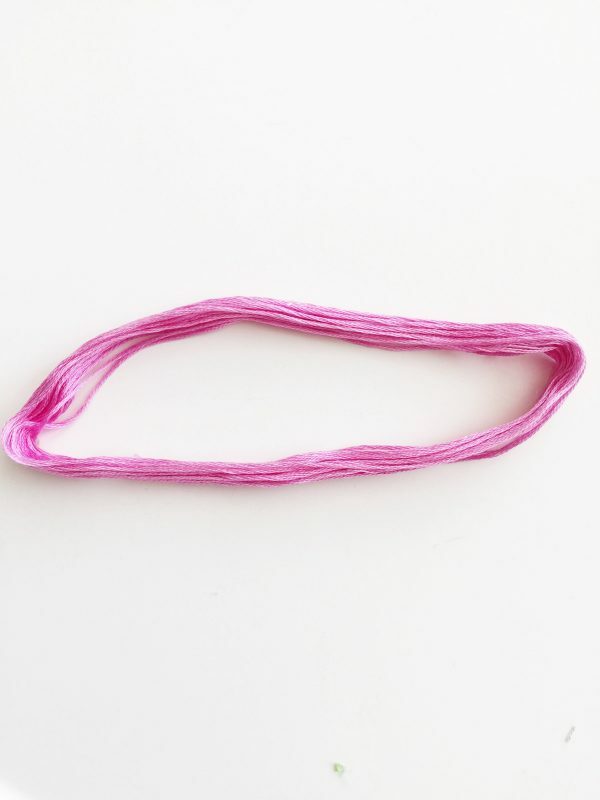 (If you’re using a gauze fabric, err on the shorter side, this fabric tends to stretch quite a lot). Cut out the shape of your desired neckline for the front and back. I just eyeballed it based off of the slits I cut. 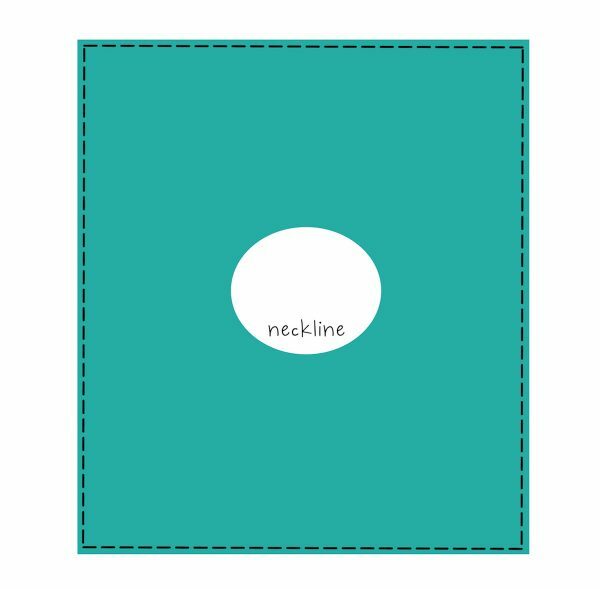 Make sure not to cut too low for the back neckline, it should be higher than the front neckline. Try it on and adjust as needed. Step 4: Unfold your fabric, and finish all outer edges. 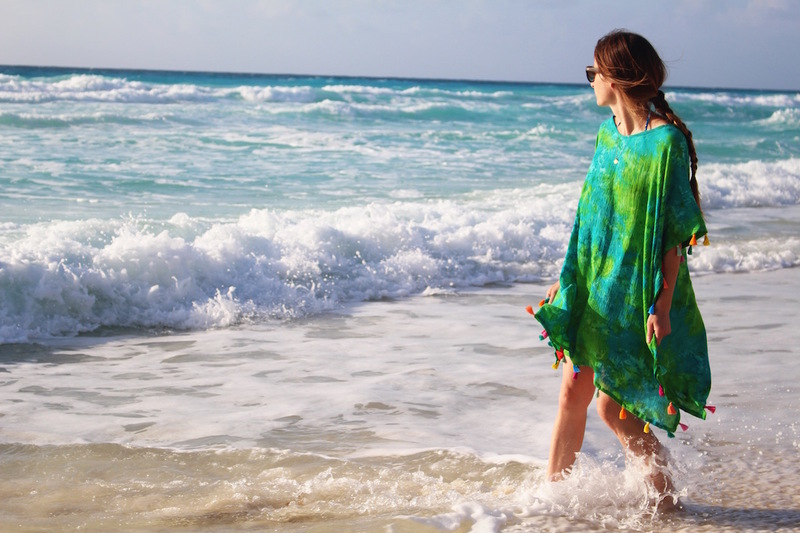 Fold and iron all around the outer edges of your caftan folding the wrong sides together and ironing first at ¼” and then folding again at ½”. 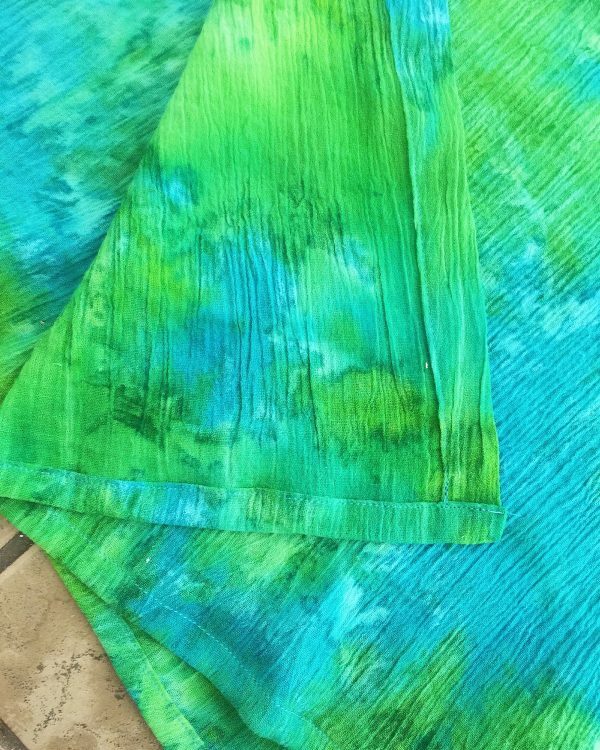 (You will notice in my photo below, I folded the bottom hem edges at 1/2″ and the sides at about 3/4″, either way is fine!). Pin in place. Use the Edgestitch foot #10/#10C/#10D, sewing all around the caftan edges, as pictured below. 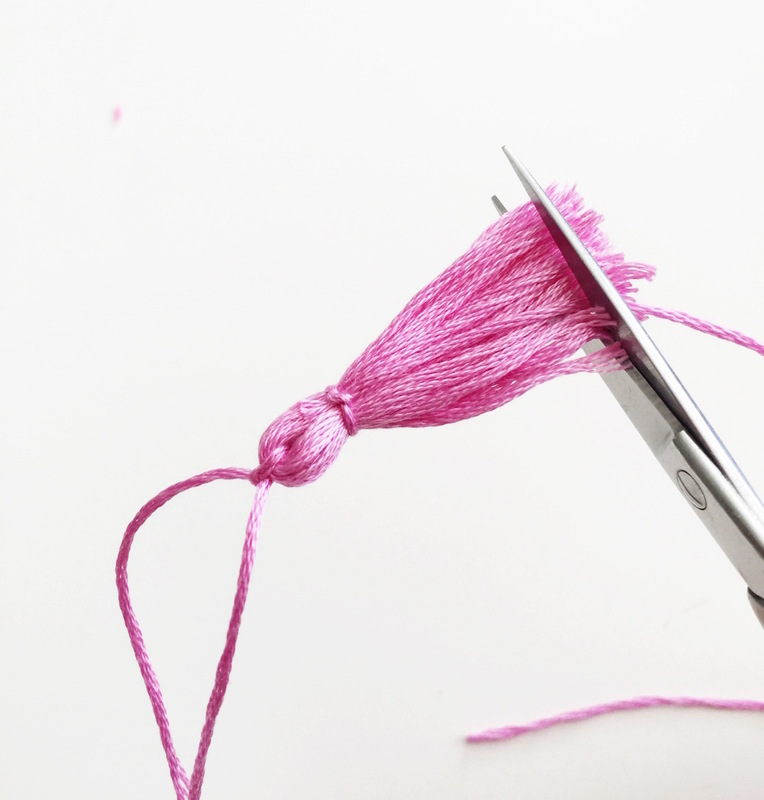 (Make sure your presser foot is right up against the folded seam as you sew. I really like using this foot for finishing hems). 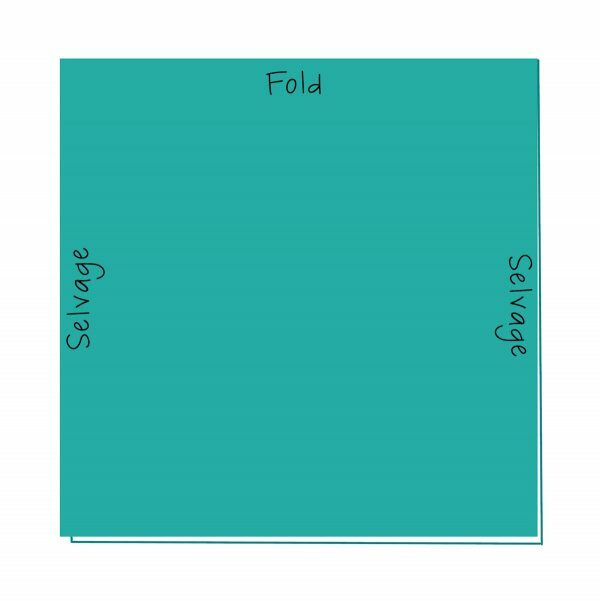 Step 5: Fold your fabric in half. Mark about 8″ down from the top folded edge of each side, and mark about 4 ½” up from the bottom edge on each side. With wrong sides together, pin and then sew side seams about 1 ½” from finished edges between these two markings. (These are the measurements that worked best for me. 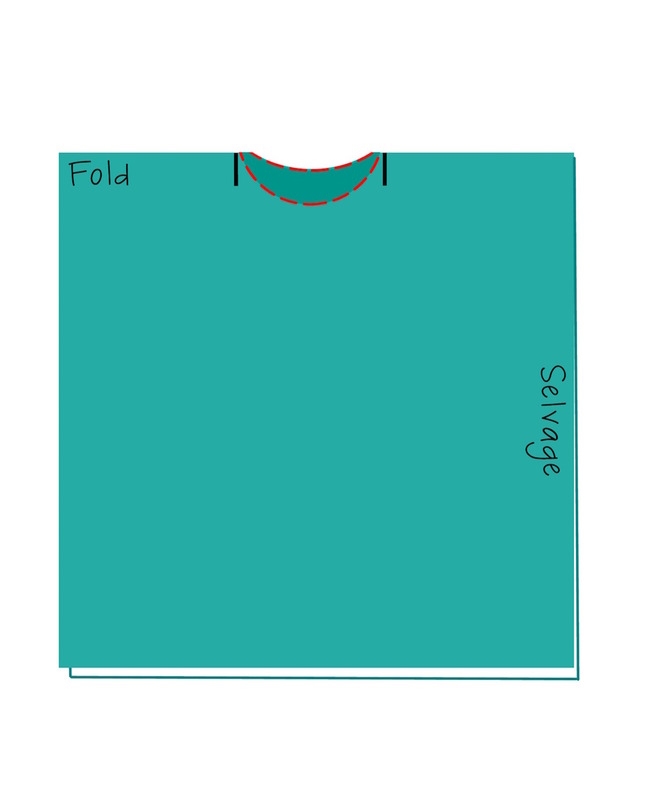 Figure out how far down the side seam you would like your armhole to end, and how long you want the side slit to be). 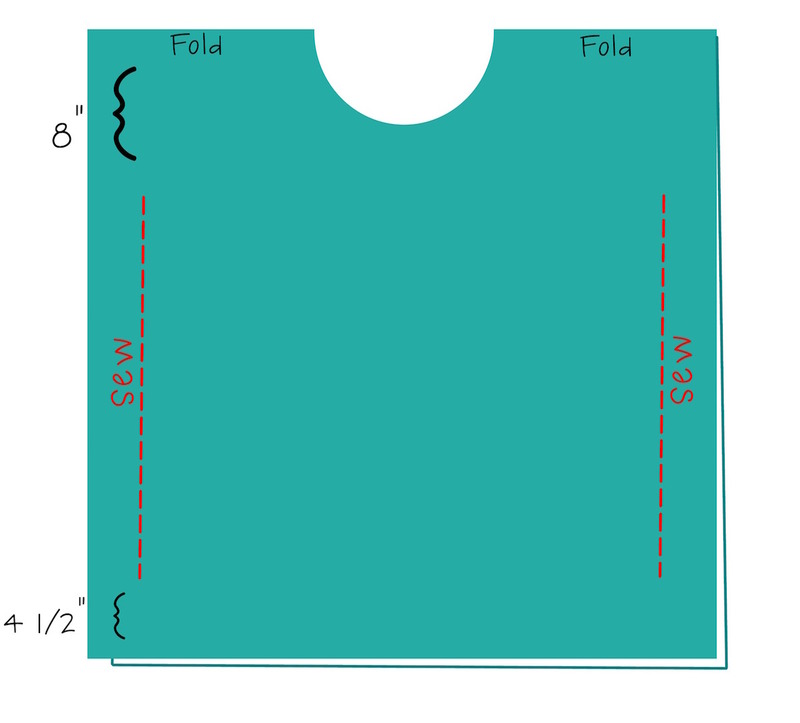 Step 6: Finish neckline using single fold bias tape. 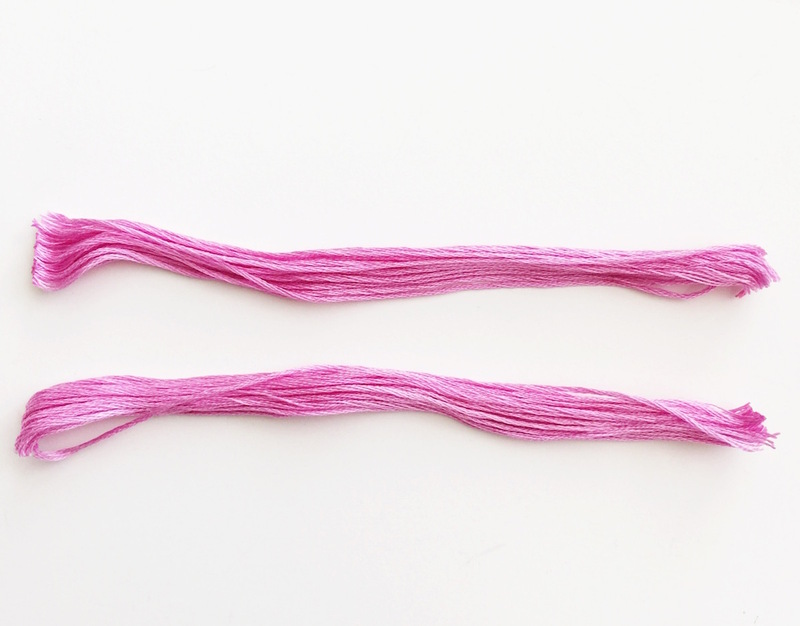 Pin bias tape along neck line edge, overlap your end pieces. 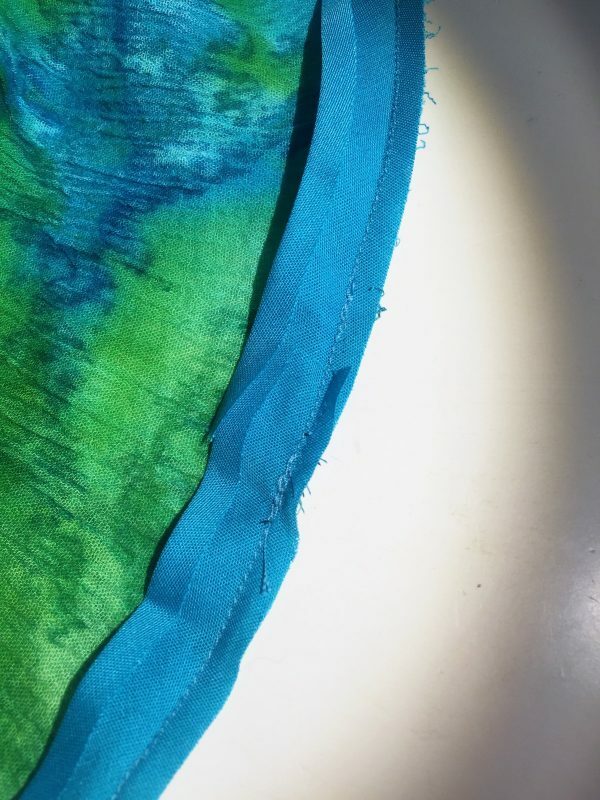 Sew directly along the first crease in your bias tape closest to the edge of your fabric, all the way around. Flip your bias binding over to the wrong side of the neckline and iron so the bias tape isn’t showing on the right side. Pin in place. 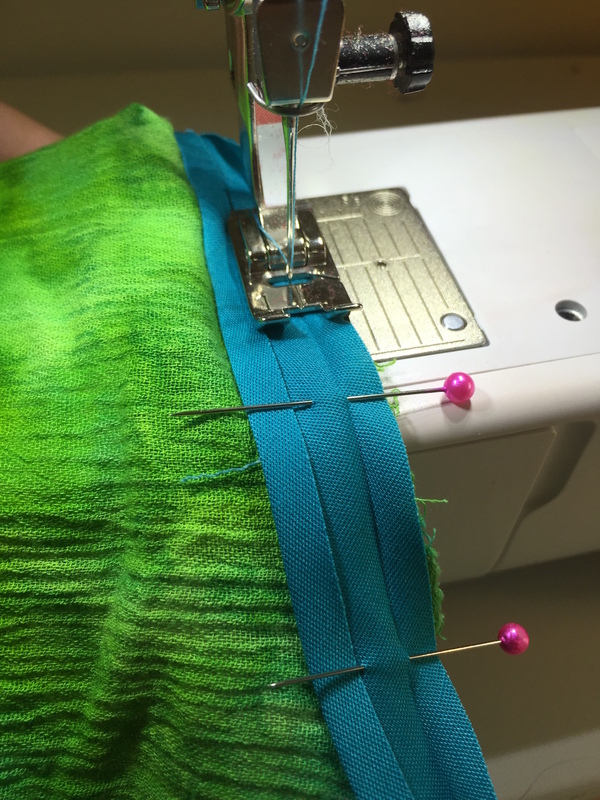 Using your Edgestitch foot #10/#10C/#10D again, stitch 1/8″ away from bias tape edge to finish. 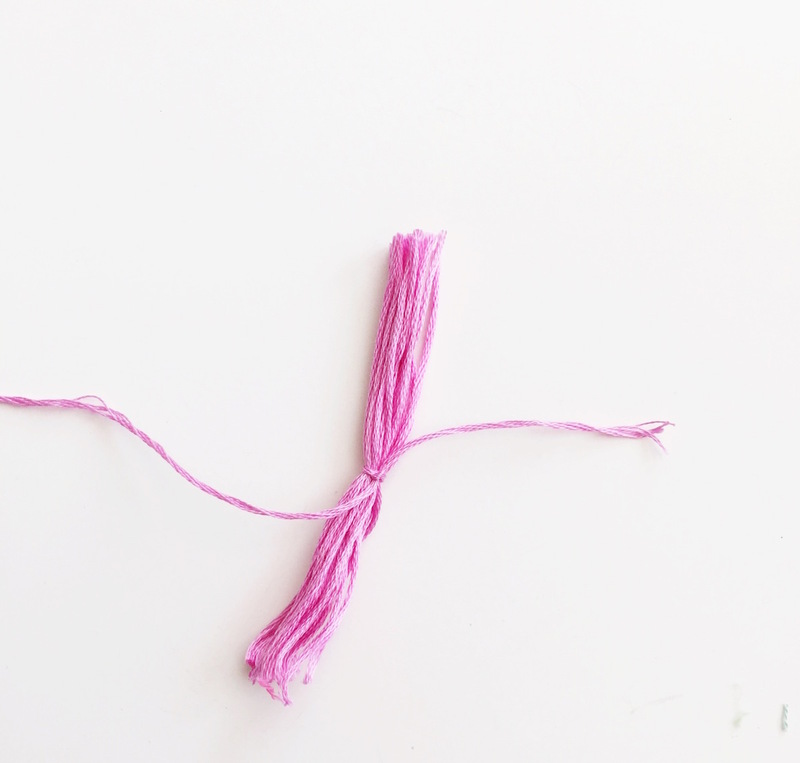 Step 1: Cut the ring of embroidery floss exactly in half. 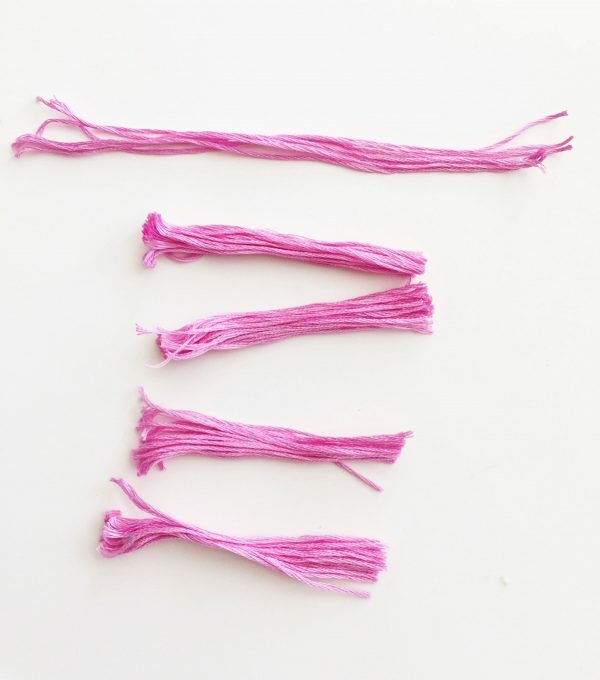 Step 2: Now you have two piles of thread, take 4 strings out of each pile and set aside. Step 3: Now cut each pile exactly in half so you have four equal piles. (see picture above). Step 4: Grab your 8 strands. Tie one strand in the middle of each of the 4 equal piles. Step 5: Fold each pile in half with the long thread you just tied at the top, and tie another long thread just a little under to create the head of your tassel. 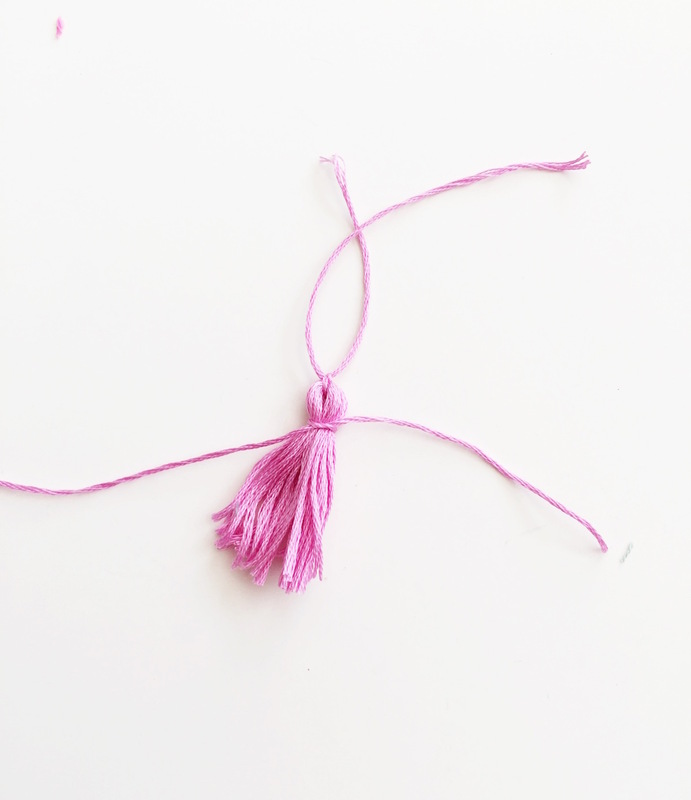 Step 6: Trim the bottom edge of your tassel so everything looks even and neat. I tucked one edge of the long string towards the bottom and trimmed it to match the edge, and cut the other piece close to the knot. 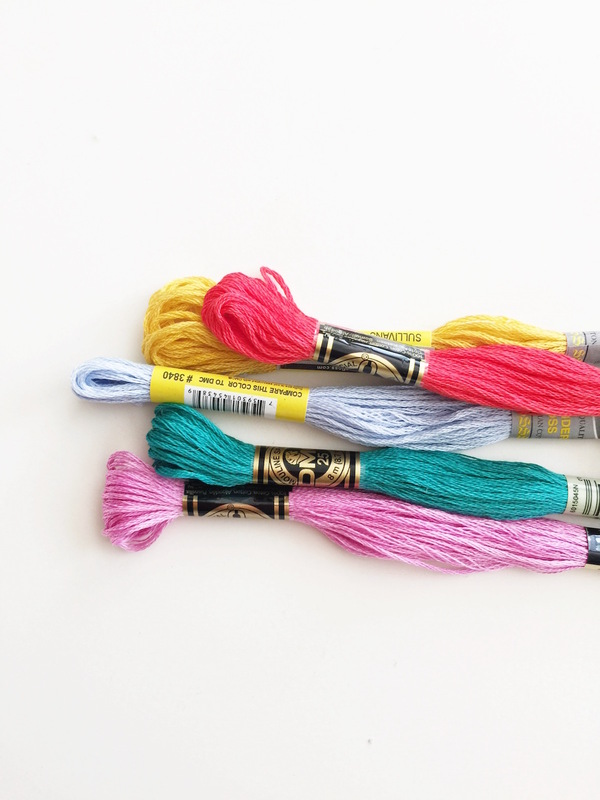 I made 56 tassels in multiple colors. (To figure out how many embroidery floss colors you need, keep in mind that each embroidery floss package makes 4 tassels, I used). 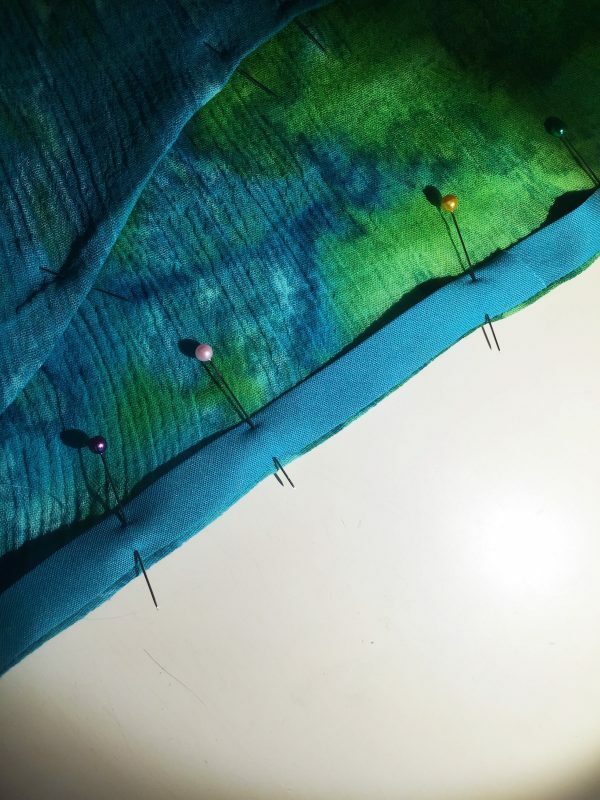 I measured along the side seams, back of the armhole, and along the hemline adding up to 164″. 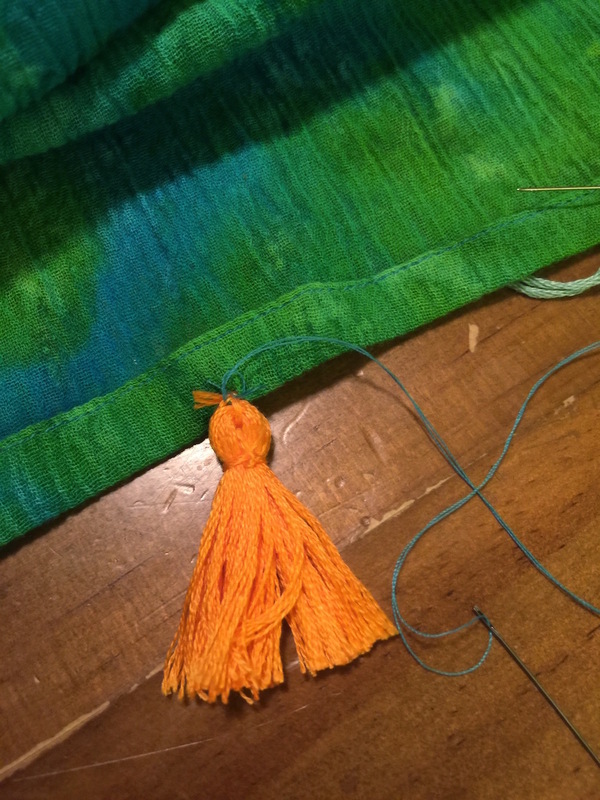 I divided 164″ by 56 tassels to figure out my tassel placement, equaling 3″ apart. I pinned my tassels in place, but you could also just measure 3″ (or whatever your measurement is), after you hand tack each tassel to the wrong side of your caftan. Whichever you prefer! 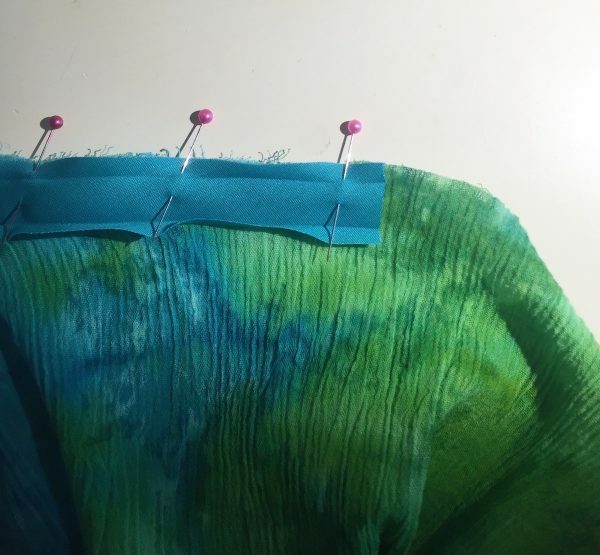 Using a needle and matching thread to the fabric, hand tack each tassel from the edge of the back of the sleeve, all around down the front of the sleeve, and down the sides and across the hem edges of the caftan. And you’re done! To the beach! 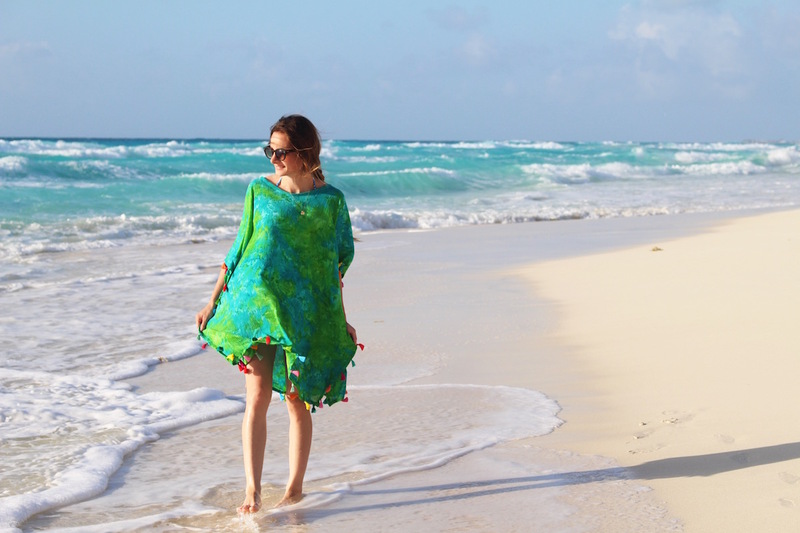 Happy Memorial weekend everyone, hope yours involves your cute caftan and lots of sunshine! Just what I’ve been looking for. I definitely will be making this! Thank you!